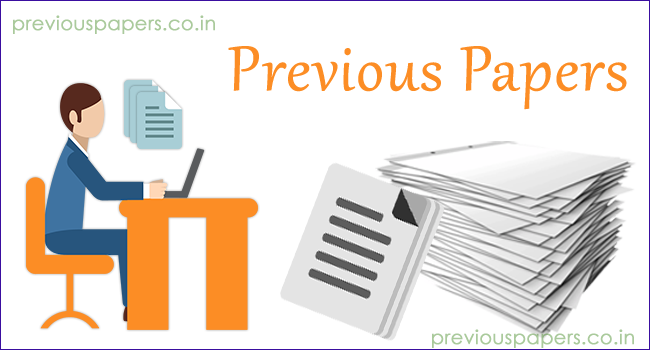 PSPCL LDC Previous Papers are available here for free download. Check Punjab SPCL LDC model papers on this page. The candidates who have applied for the PSPCL exam can download Punjab State Power Corporation Limited Typist previous year question papers for free of cost. You can also get more details of the Punjab SPCL Lower Division Clerk exam like exam pattern, syllabus, and selection procedure. Punjab LDC Model Question Papers are available for free download. All the applicants who are preparing for the LDC exam should download the PSPCL practice papers. In this article, we have provided subjectwise Punjab SPCL previous year papers for the exam. So the candidates need to check the complete article for the and download the PSPCL LDC Previous Papers. Then the aspirants can understand the exam standard. The Punjab State Power Corporation Limited has issued a notification for the post of Lower Division Clerk. The number of vacancies for the LDC post is 330. The eligible candidates can apply for the post. The applicants may be in search of the Punjab SPCL LDC solved question papers to start their preparation. Here you can download the Punjab SPCL LDC Question papers and make your preparation easier. Check the PSPCL exam pattern and other details in the following section. The written test is of Online mode. Each question carries 1 mark. The negative marking for each question is o.25. The applicants attending for the PSPCL LDC exam can go through the selection procedure given here. By following the selection criteria, the candidates can get an idea of the PSPCL Typist exam. The Punjab State Power Corporation Limited conducts only round for the selection of the LDC post. The aspirants will be selected based on the performance of the written test. The syllabus for the PSPCL Lower Division Clerk /Typist consists of the following sections. Prepare according to the subjects and also practice the Punjab SPCL exam question papers before the PSPCL Typist exam. The Punjab SPCL exam Papers for the LDC post are very helpful to get the good marks in the PSPCL exam. The PSPCL Typist solved papers makes the candidates know the structure of the exam. You can also get the idea of which questions are repeating mostly in all the PSPCL sample papers. The repeating questions from the last 5 year papers of Punjab LDC may reoccur in the present Punjab Typist exam. So, don’t neglect them and try to solve many LDC Punjab previous question papers. Based on difficulty level faced by the aspirants in solving the last year question papers of PSPCL, they can make further preparation plan for the PSPCL exam. We hope that the above provided PSPCL LDC Question Papers will be helpful for the aspirants for better preparation of the Punjab SPCL LDC exam. Once we find more PSPCL LDC question papers we will update on our site. So keep visiting our site www.previouspapers.co.in to get the details of the state and central government jobs.